Providing Dog Beauty services from pet clips to show dog standard grooming. 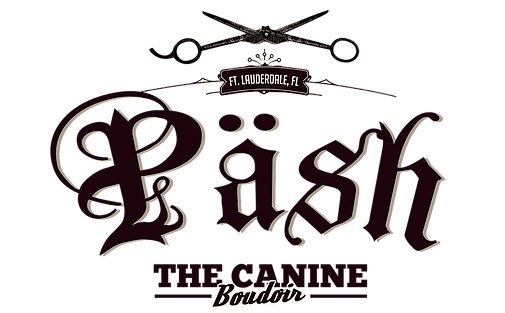 Päsh groomers specialize in all dog breeds, large or small providing hair trims, pet styling, facials, hair treatments, coat conditioning, hand stripping and de-shedding.Experience South Florida's premiere Pet Salon & Boudoir. With mesmerizing hair & beauty services for your dog. "Pina is absolutely the best groomer around!! Don't miss this opportunity to have your dog groomed by such a caring, passionate, master groomer!!" "The amazing place to bring your dogs, Pretty Grooming Salon with amazing professional groomers.. We Love Pina And Josh the dogs as well." This Amazing studio of Art will definitely be a Successful like you always been!!!" "Pina" has devoted her entire career to the pet grooming industry. Without question, she has achieved the highest level of grooming proficiency possible. Joshua Morales a veteran in the world of all breed dog grooming is a nationally certified Master groomer, technical instructor for hundreds of aspiring pet groomers, trendsetting artist and President of The Dog Beautician Company.